A gift in your will or living trust. Through a gift in your will or living trust, you can support Conservation Law Foundation with a specific amount of money or a percentage of your total estate. This type of gift allows you the flexibility to change your mind at any time. A charitable gift annuity. One of the most common ways to fund this gift that supports Conservation Law Foundation and provides you and/or a loved one with fixed payments for life is with cash in the form of a check. A charitable gift annuity typically works well for those 60 and older. Memorial and tribute gifts. If you have a friend or family member whose life has been touched by Conservation Law Foundation, consider making a gift to us in his or her name. An endowed gift. 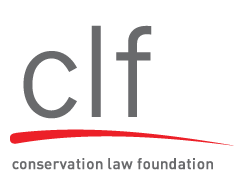 Create an endowment or contribute to one that is already established to ensure that your support of Conservation Law Foundation will last forever. Contact Kate Saunders at 617.850.1738 or ksaunders@clf.org for additional information on giving a gift of cash.